MUNICH, Germany, Feb. 16 (Xinhua) — People-to-people and cultural exchanges are thriving, making China and Europe a great example of cultural dialogue and engagement, a senior Chinese official said here Saturday. Yang Jiechi, a member of the Political Bureau of the Communist Party of China (CPC) Central Committee, said this in his keynote speech themed “Working for a Community with a Shared Future for Mankind by Promoting International Cooperation and Multilateralism” at the 55th Munich Security Conference. Fifteen years since the establishment of the China-EU comprehensive strategic partnership, the two sides have developed an all-dimensional and multi-tiered framework of exchanges and cooperation covering wide-ranging areas, said Yang, who is also director of the Office of the Foreign Affairs Commission of the CPC Central Committee. Efforts to build China-EU partnerships for peace, growth, reform and civilization have made substantial progress, Yang noted. “It is essential that our two sides continue to draw on each other’s strengths, focus on shared interests, remove obstacles and work together to seize the opportunities presented by the Fourth Industrial Revolution and meet our people’s aspirations for a better life,” said the official. This year marks the 70th anniversary of the founding of the People’s Republic of China. Under the leadership of the Communist Party of China, Yang said, the country has embarked on the right path, one that is suited to its national conditions and follows the trend of the times. The Chinese economy has entered a new phase of transitioning from high-speed growth to high quality development, operating within a proper range and maintaining overall stability and continued progress, he added. “Facing lackluster new drivers and mounting downward pressure in the global economic context, China has enough resilience and huge potential to keep the economy on a sound track for a long time to come,” Yang said. The enormous effective demand being generated by the 1.4 billion Chinese people who are moving up the income ladder will provide the world with even more opportunities in terms of market, investment and cooperation, he reassured. BEIJING, Feb. 11 (Xinhua) — Yang Jiechi, a member of the Political Bureau of the Communist Party of China (CPC) Central Committee, will travel to Germany to attend the 55th Munich Security Conference (MSC) from Friday to Sunday, Foreign Ministry spokeswoman Hua Chunying announced Monday. Yang, also director of the Office of the Foreign Affairs Commission of the CPC Central Committee, will attend the conference at the invitation of the MSC Chairman Wolfgang Ischinger, Hua said in the announcement. 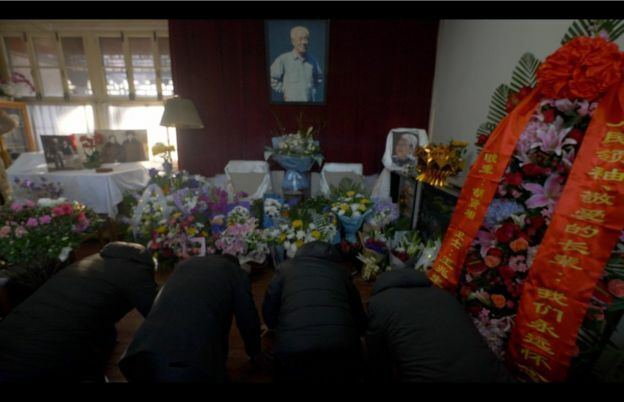 In a small, central Beijing courtyard, family and friends are gathering to pay tribute to Zhao Ziyang – the most powerful man in China to oppose the decision to send tanks into Tiananmen Square nearly 30 years ago. He was subsequently erased from Chinese history for what party officials deemed his “serious mistakes” that day. To reach his traditional courtyard home, mourners and journalists alike must run a gauntlet through a twisted alleyway, with groups of police and plain-clothed guards on every corner, waiting to interrogate and prevent would-be visitors. Today, on a cold, January day, on the anniversary of Zhao’s death from a stroke in 2005, numerous police vehicles flank every entrance. Parked outside the gate is an unmarked security car; the occupants monitoring arrivals and muttering into radios. “What a miracle you all showed up here,” Zhao’s daughter, Wang Yannan, tells the small group of us who made it inside the courtyard. China’s Communist Party has spent nearly 30 years trying to erase the events of 4 June 1989 from history and young people here have little knowledge or understanding of what happened that day. 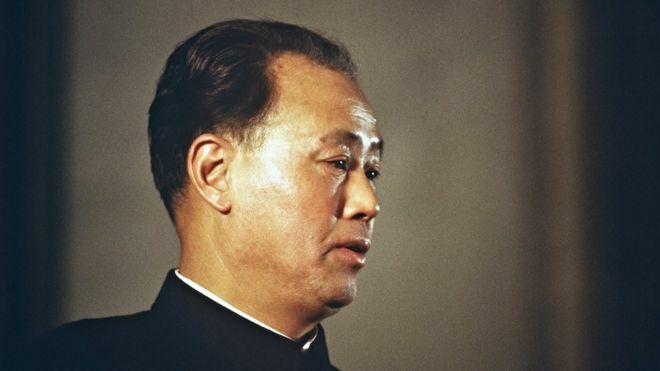 The story of Zhao Ziyang is proof those efforts still continue: the man who was the highest ranking Party official in the country at the time of those momentous events is now expunged from the record and, even in death, still regarded as a threat. Every year, the family says, the number of people who come to pay their respects diminishes slightly. Some are stopped from entering when they arrive or – as Zhao Ziyang was for 16 years – prevented from travelling around the city. “It’s been like this for many years. What else can we do about it?” Zhao’s son, Zhao Er’jun, is resigned to the hassle. A trickle of people make their way into Zhao’s study, where his photograph, documents and possessions are displayed, alongside photographs of his late wife. It speaks of a loving family, proud of his achievements – Chinese premier, general secretary of the Chinese Communist Party and, before his purge, credited with driving crucial economic reform in China. It’s already stuffed with flowers and burning incense. More flowers are being placed outside the door. Most visitors tell us that they are “from his home town”. It might not be true in all cases, but it seems that you’re more likely to get past the guards by saying it. And they are here to keep not just his memory, but his principles alive. Zhang Baolin, a former journalist, covered the years when Zhao brought wealth to much of China – but also drew criticism for corruption – and then defied his party by defending the student protests in Tiananmen. 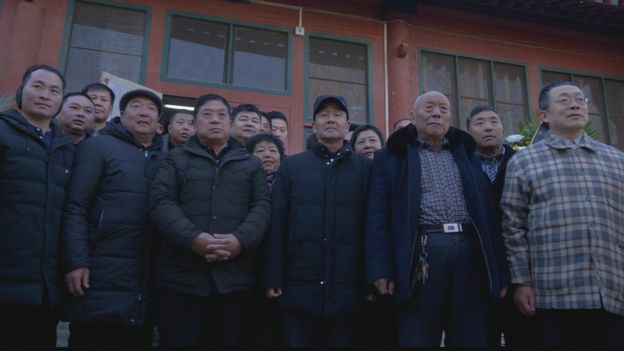 Zhao’s name is not only missing in Chinese commemorations, but – like nearly everything connected with the events in Tiananmen – from Chinese history books and virtually all official publications since 1989, when he was ousted from the Party. But those in the courtyard hope that won’t always be the case. 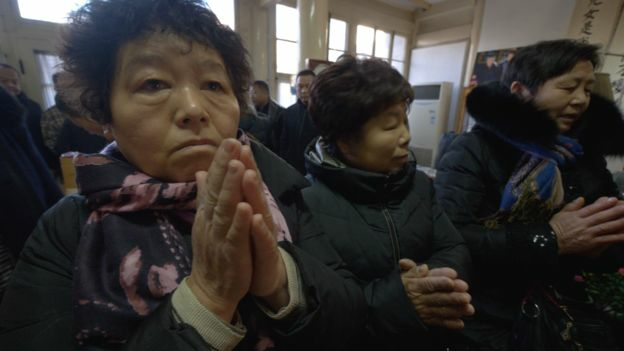 Zhao’s daughter Wang Yannan sighs, only cautiously optimistic that one day she might see the political rehabilitation of her father’s legacy. 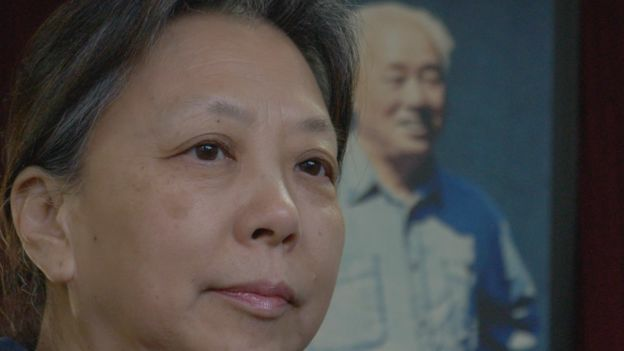 Zhao went to Tiananmen Square in 1989, knowing that Party hardliners were gaining the upper hand, and implored the students to leave; to save themselves and their future lives; to negotiate with the Party. “We are already old, we do not matter any more,” he told them. But nearly 30 years later, remembering Zhao – and his principles – matters more than ever to some. 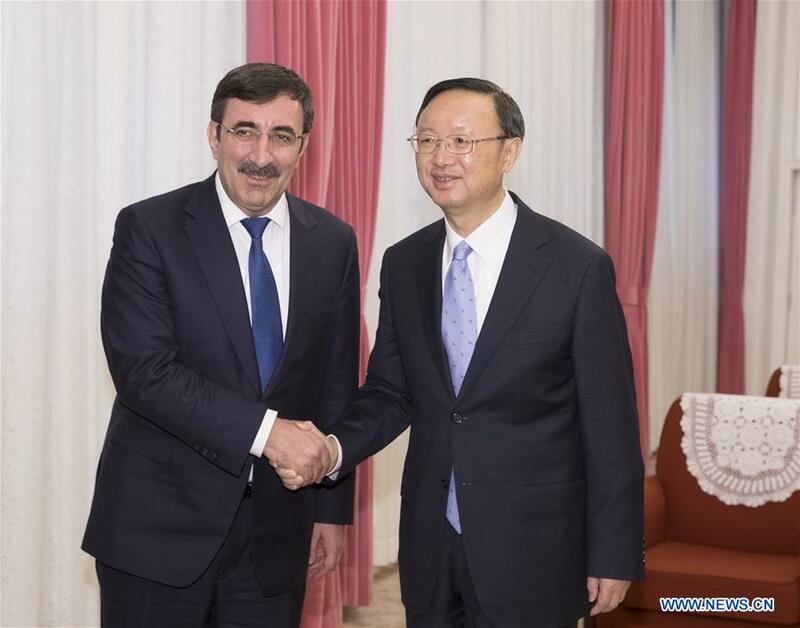 BEIJING, Dec. 18 (Xinhua) — Yang Jiechi, a member of the Political Bureau of the Communist Party of China (CPC) Central Committee, on Tuesday met with a delegation of the Turkish ruling Justice and Development Party (AKP), which was led by its deputy chairman Cevdet Yilmaz. Yang, also director of the Office of the Foreign Affairs Commission of the CPC Central Committee, said China is willing to work with the Turkish side to implement the consensus reached by the two heads of state during their sideline meeting at the G20 summit in Buenos Aires. He said the CPC is willing to make joint efforts with the AKP to deepen the exchange on the experiences of managing the party and the country so as to promote bilateral ties. Hailing China’s achievements since reform and opening-up 40 years ago, Yilmaz said the AKP is ready to enhance communication and exchange with the CPC to promote bilateral cooperation in fields including the economy, trade, tourism, and anti-terrorism. BEIJING, Dec. 16 (Xinhua) — The General Office of the Communist Party of China (CPC) Central Committee has issued a trial regulation on how leading Party members groups discuss and decide the punishment of Party members. The discipline inspection group propose a preliminary suggestion for punishment and discuss the suggestion with the department’s leading Party members group. The case is then transferred to central discipline inspection and supervision authorities for a trial after the two groups reach a consensus, it said. The punishment should be discussed and decided by the department’s leading Party members group, and advised by the discipline inspection group stationed at the department, according to the regulation.